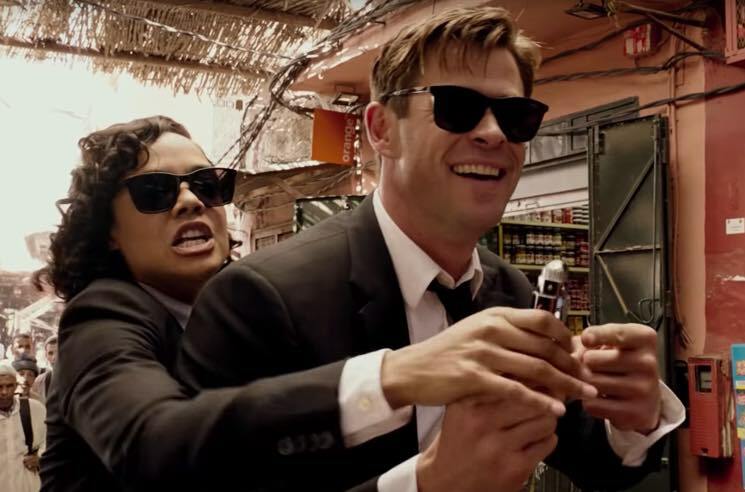 Thor: Ragnarok castmates Tessa Thompson and Chris Hemsworth are hitting the big screen together once again for a Men in Black spinoff, and the first trailer for Men in Black: International has just arrived. The clip for the F. Gary Gray-directed film sees Thompson and Hemsworth taking over the franchise's lead roles from Will Smith and Tommy Lee Jones, and branching out to hunt down aliens beyond just New York City. Thompson and Hemsworth are seen travelling through Paris, London and all over the world in the new clip, aided by mentors played by Emma Thompson and Liam Neeson. The movie somehow manages to look even cheesier than its 1997 original. Watch the trailer below. Men in Black: International is due out next summer.